Reforming the physician fee schedule would help close the income gap that has led to a shortage of primary-care physicians, according to a new paper. When Congress shifted pay models from individual physicians' historical charges to the "relative values" of services, that translated to higher reimbursement for new services and a significant increase in the volume of expensive procedures. This has widened the income gap between primary-care physicians and specialists, causing more students to pursue the latter, according to a new white paper from the USC-Brookings Schaeffer Initiative for Health Policy. To the dismay of many policy experts and organizations like the Medicare Payment Advisory Commission, updates to the fee schedule have benefited procedure-oriented specialties at the expense of primary-care doctors. 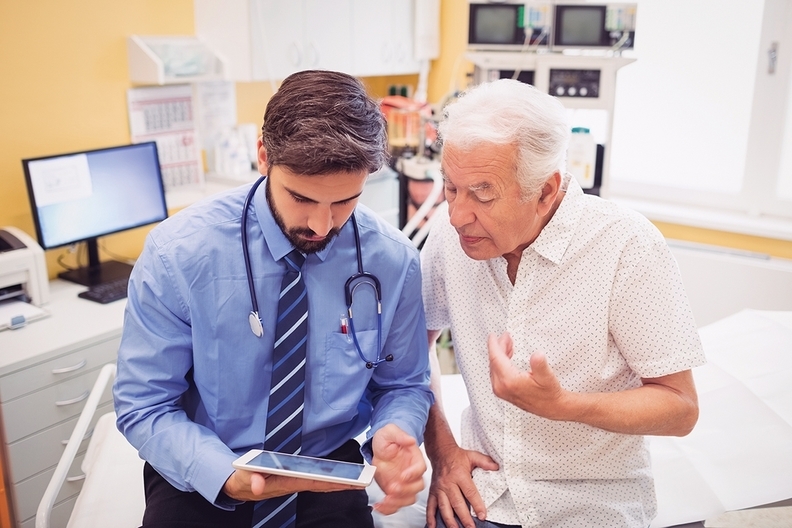 Researchers noted MedPAC's recommendation to raise the fees for evaluation and management services provided in the outpatient setting, which represent the bulk of Medicare income to primary-care doctors. "The Medicare fee schedule is the main cause of the specialty mix imbalance, having become distorted over time with 25 years or so of faulty updating," said Paul Ginsburg, one of the co-authors of the paper and director of the USC-Brookings Schaeffer Initiative and Leonard D. Schaeffer chair of health policy studies at the Brookings Institution. Access to primary and preventive care is a cornerstone of modern healthcare. Without it, untreated illnesses get worse and care costs more. Yet, a lack of primary-care physicians—particularly in rural and underserved areas—has impeded progress. In 2016, the proportion of practicing physicians in the U.S. was 68% specialists and 32% primary-care physicians, according to the Association of American Medical Colleges. The association estimates that there will be a primary-care shortage of 14,800 to 49,300 doctors by 2030, according to its March report. That's up from its projected shortfall of 7,300 to 43,100 from last year. The U.S. medical education system has produced an increasingly specialized physician workforce given the difference in earnings potential and the burden of student debt. Congress tried to fix that imbalance by adjusting the subsidies Medicare pays for graduate medical education. It placed a two-year freeze in the per-resident subsidy for non-primary-care students and weighted direct graduate medical education, or GME, payments to favor primary-care residents. Yet, these changes didn't have a substantial impact, according to the white paper. Overall, Medicare's GME subsidies have relatively little effect on the skewed specialty mix, researchers found. Just focusing on the supply side, such as forcing teaching hospitals to increase primary-care residencies in order to maintain their GME subsidies, wouldn't result in more primary-care doctors in practice, according to the paper. That policy would be dwarfed by other incentives. Loan subsidies should be paid directly to doctors in training rather than to teaching hospitals, researchers recommended. A loan forgiveness program should have some conditions related to a minimum number of years practicing in primary care, they said. Performance-based subsidies could also minimize cost and lure high-quality students to become primary-care doctors, who are essentially the quarterbacks of many new team-based payment models, according to the paper. Primary-care visits have been steadily declining since 2009. Nurse practitioners and physician assistants have only partially offset that trend. Redirecting Medicare's subsidy of the indirect cost of graduate medical education, which in part leads to higher inpatient costs when residents order extra tests, could also help. Surgical cases tend to be more profitable than other cases, and the indirect medical education adjustments intended to boost primary-care doctors exacerbate this dynamic, according to the paper. A less expensive case like pneumonia might add about $30 to the reimbursement under the indirect medical education adjustment, while a more complicated case like a bypass surgery might add 10 times as much. Also, there are no add-on payments for care provided in the outpatient setting that's home to most of the primary-care work. If the indirect medical education adjustments were halved, as MedPAC has recommended, it would free up more than $3 billion a year, according to the paper. Some of these funds could be deployed in a direct loan forgiveness program. Ultimately, no changes will likely be successful without revamping the Medicare physician fee schedule, Ginsburg said. "We want the restructuring of the fee schedule to be a long-term policy fix, but loan forgiveness aimed at primary care could really jump-start it," he said.